Congratulations to all the athletes, coaches, wax techs and volunteers on a successful Ski Championship. 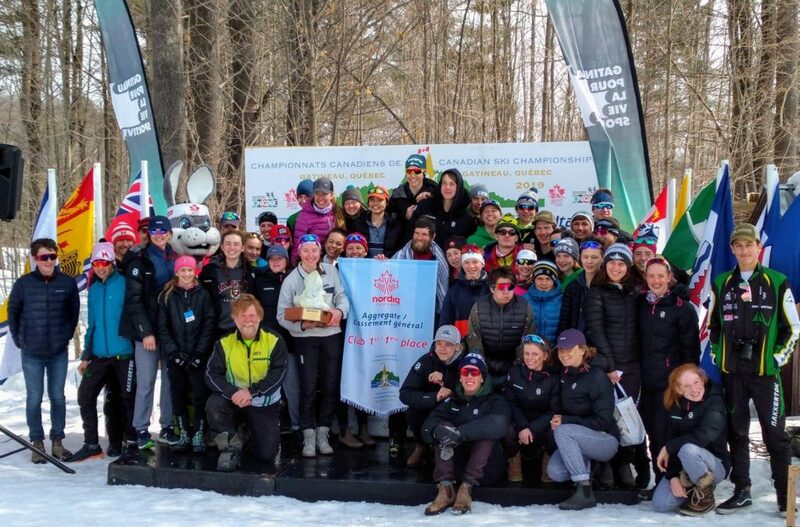 For the 10th year in a row, Nakkertok won the National Club title based on the results of racing over the 10 days. Well done and congratulations. A special congratulations to Zoe Williams and Katherine Stewart-Jones who will be skiing for Team Canada this upcoming weekend at the World Cup finals in Quebec City. We are very proud that you will be representing Nakkertok on the world stage. Ski Nationals was also the last race for our head coach, Kieran Jones. Kieran has been a coach with Nakkertok for 10 years and has been a huge part in the success of our race program. Thank you Kieran for everything you have done for the club. Finally, a huge thank you to all the volunteers that made Ski Nationals such a success. We couldn’t have done it without your time and dedication. Thank you!